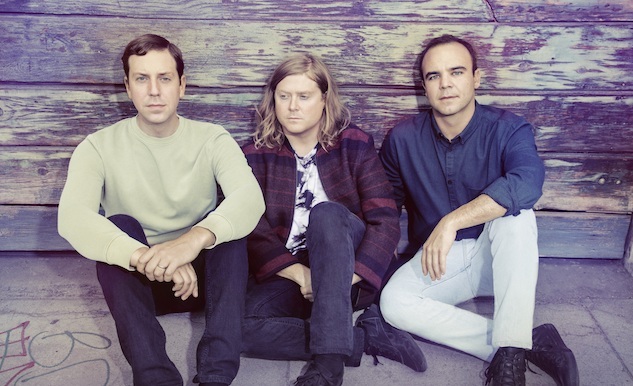 Daily Dose: Future Islands, "Beauty of the Road"
At this point, even the haters have to give it up to Future Islands. Even if you can’t get behind the Baltimore band’s take on synthpop or Sam Herring’s signature dance moves, you have to respect the work ethic of these guys. They are a relentless touring act that leave it all up on the stage. Don’t just take my word for it, either. Check out this new clip for the appropriately named song “Beauty of the Road,” which captures the group in all their sweaty glory in various venues. If you can’t get caught up in their infectious energy, at least take a second to admire their on stage joie de vivre and the pure joy they exhibit through each moment of this video. And then, if you’re one of our European readers, consider seeing Future Islands live when they hit your shores next summer. Tour dates are below.